The LMK 331 screw-in pressure transmitter has been specially designed for level and process measurement. Due to the semiflush mounted pressure sensors the LMK 331 can also be used in viscous or contaminated media. The ceramic sensors feature high compatibility against aggressive media. 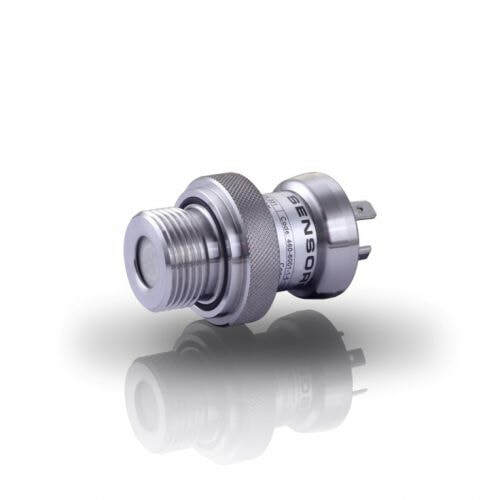 The sensor is sealed against the pressure port depending on the nominal pressure range with FKM or NBR seals as standard. Other elastomers are available. Pressure port material is alternatively stainless steel 1.4571 (316Ti), or, for particularly aggressive media, PVDF or PVC. For process measurement applications different process connections are available on request. Additionally it is possible to use the screw-in transmitter LMK 331 in explosive area (zone 0). The LMK 331 screw-in pressure transmitter has been specially designed for level and process measurement with ceramic sensors for high compatibility against aggressive media.